I love a Red Vine, a Twizzler, and even the absurdly long Red Rope. But all these licorice treats, whether twisted or pull n’ peel, contain too much sodium – usually around 50 to 100 mg per pop. So I let go of my licorice dreams and focused on other sweet nibbles, like dark chocolate and gummy candy, which generally fall into low sodium safe zone. But then, after years of longing for just one herbaceous bite of this magical candy, a low sodium cowboy unexpectedly rode into my life (slash grocery store) and came to the rescue. 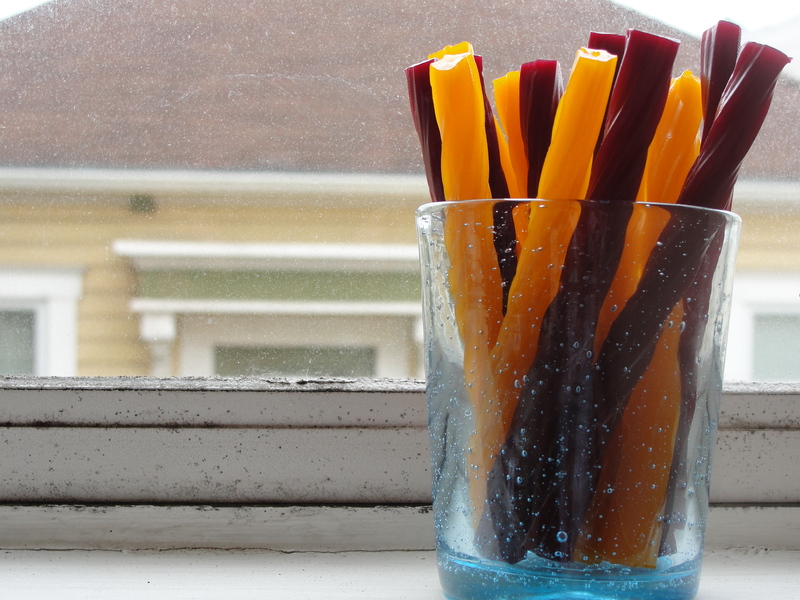 Turns out, Newman’s Own Organics is adding a “new twist” to their candy line. Cholesterol-free, low in fat, and most importantly, low in sodium, these licorice strips are made of the best stuff on earth – wait, that’s someone else’s motto – or at least, totally organic ingredients. The Tangerine and Pomegranate flavors are extremely low in sodium, weighing in at only 5 mg for five pieces, and are just as delicious as the candy you remember. Maybe even better. As a side note, I truly appreciate when nutritional serving sizes are realistic about how many pieces you will really consume. So pick up some low sodium licorice at your local Whole Foods or online, and keep these treats in your purse, your car, your cupboard, and your file folders at work for some 911 sweet tooth emergency. 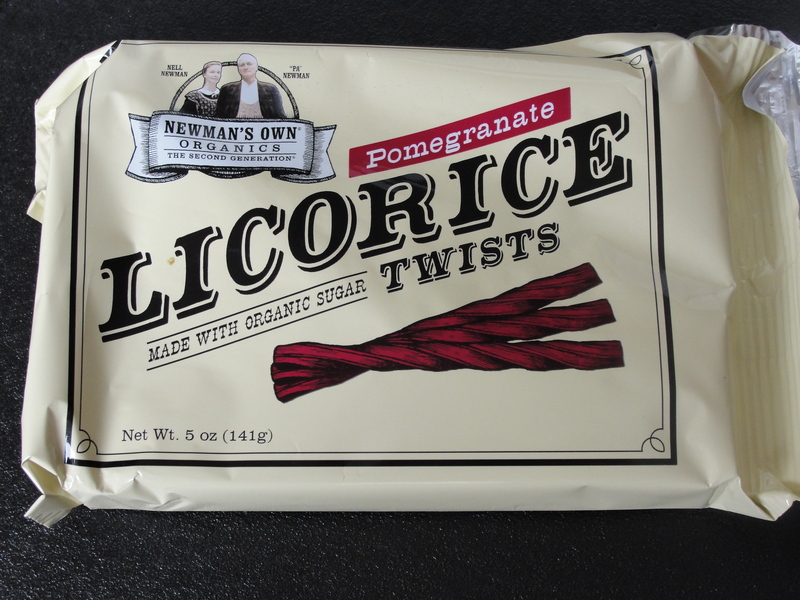 Thanks for the licorice facts. 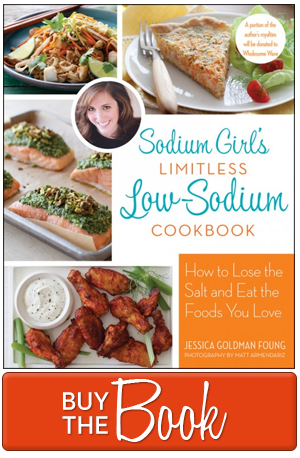 never would have thought about the salt in candy. Will certainly look for Newman’s. Wow, I’ve never seen those on the market. I’m not generally a licorice girl (or much of a candy girl at all, unless it’s Halloween, in which case I suspend every rule in the rulebook), but those actually look really tasty.